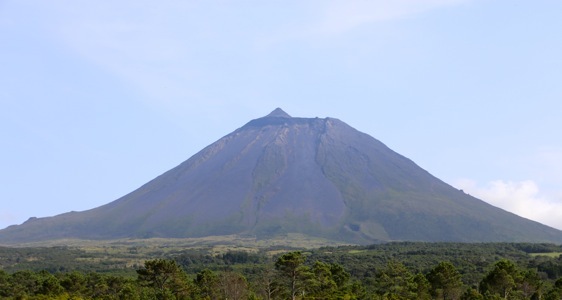 One may start from the town of Madalena, then take the road that heads up the mountain and follow signs for Pico. If coming with a rental car by ferry (as I did), then the staring point is the town of Sao Roque. From here, locate the mountain road that heads uphill at the south side of town. Drive uphill until you are on the main crest, locate the road signed for Pico that forks right. 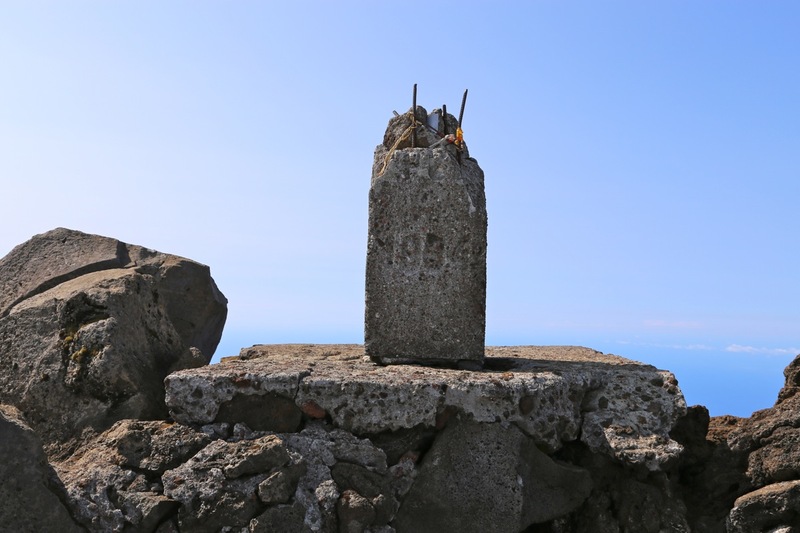 Drive this road 10.6 km, then tale a smaller sideroad that forks left (signed Montanha Pico), follow this road an additional 5.1 km crossing 5 cattle guards along the way. You are now at the mountain house where the trailhead is located. This is location N38.47088, W021.42641, elevation about 1240 meter. 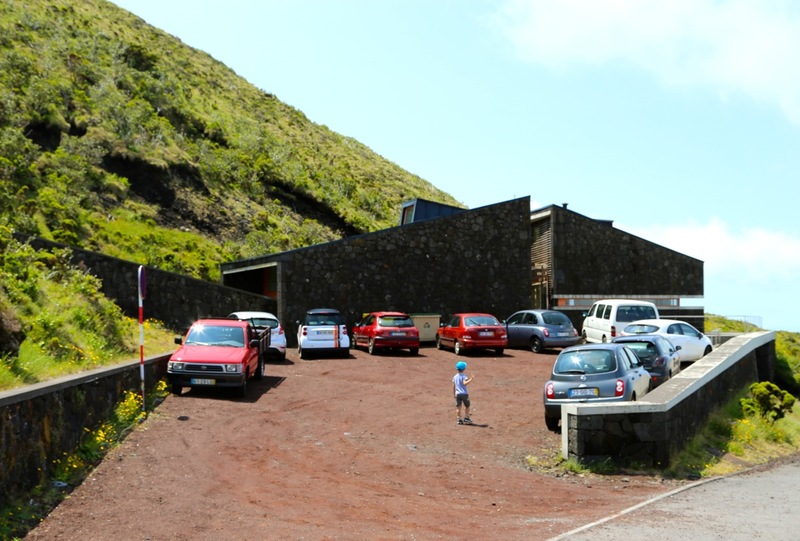 The route starts with the mountain house located next to the parking. The first part is actually some stairs. The trail then continues uphill, then more left. The trail is marked with poles numered from 1 to 45. Most of the time, one will see from one pole to the next. 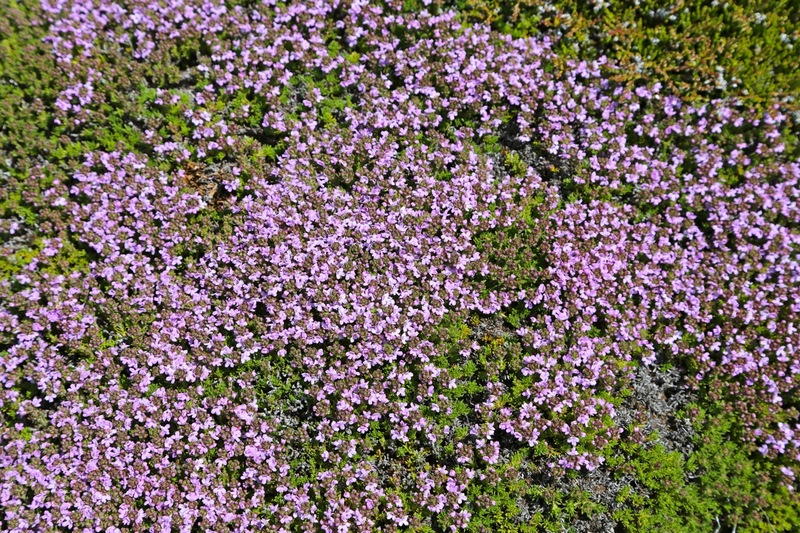 There are many small, local variations. One may go directly uphill and need to touch rock with hands or follow a more zig-zag path with easier footing. There are no difficulties and the hike is straightforward. 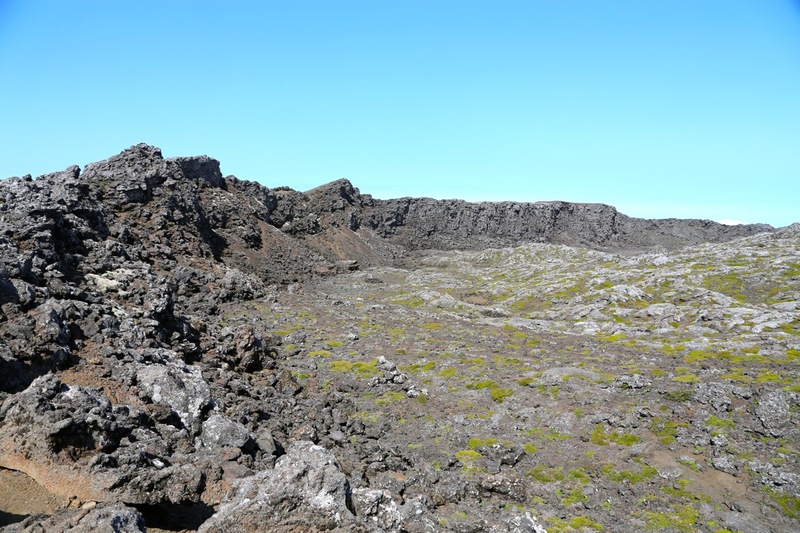 The last pole, number 45, is located at the rim of a very shallow crater. 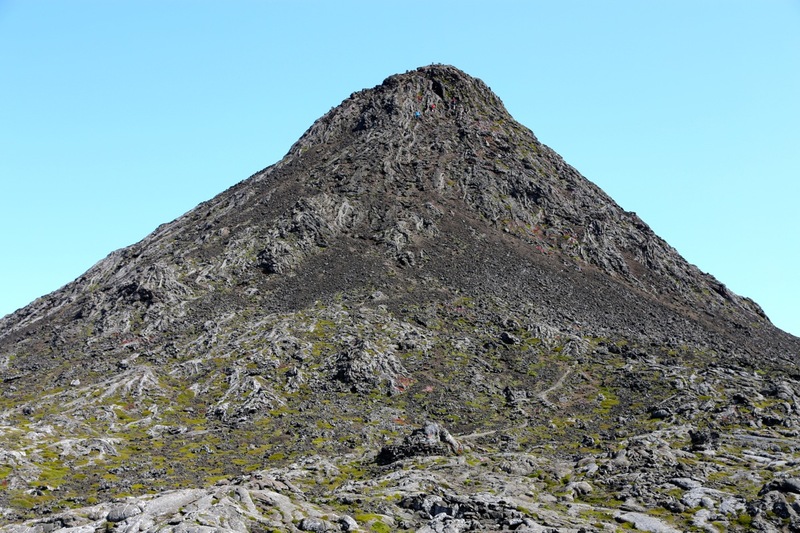 The final summit cone is called Piquinho. 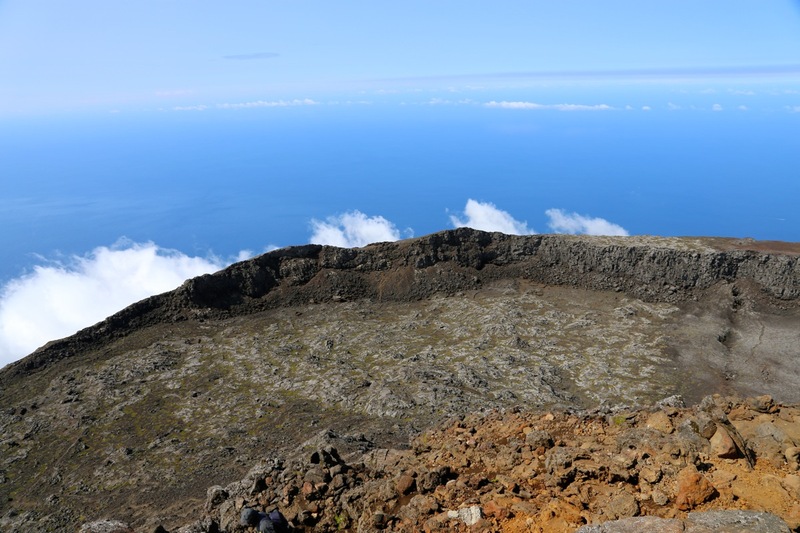 It rises about 90 meter above the crater floor. Head up a clear zig-zag path that will take you to a very visible crack/gully just below the summit. This way, no climbing is required. There are some sulphur smell since warm air is leaking out among the rocks. 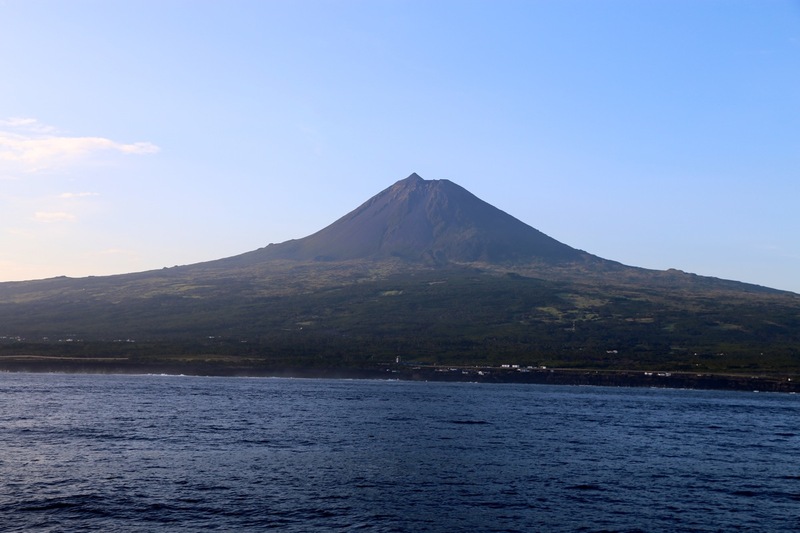 I left Faial with the 0700 ferry and reached Sao Roque do Pico around 0815. The ferry could take only about 10 cars. I had asked about going on Sunday as well as Monday, but no space for my car. Today, Tuesday was the first possible day. The loading of cars is complicated, each car must go backwards onborad. 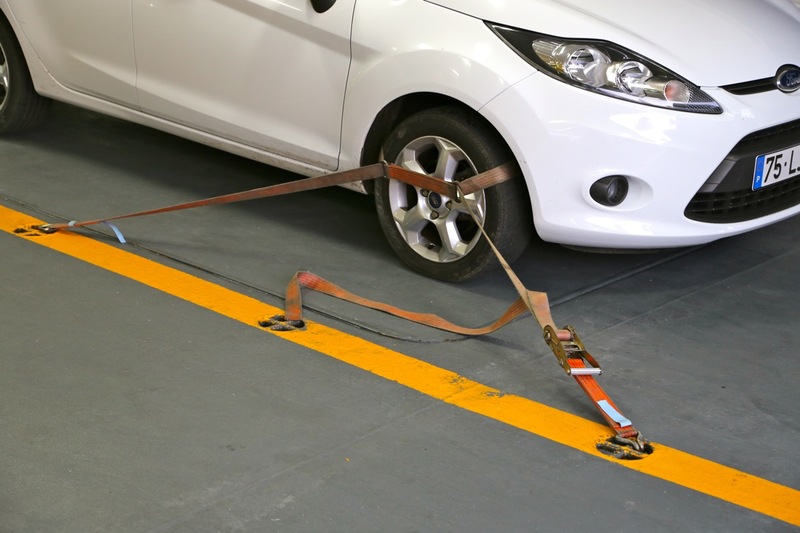 The cars must be tied down, there may be big waves that could otherwise make the cars slide around. Pico was still at least partially in clouds, but the weather looked promising. The drive was easy and I parked near the mountain house a little before 0900. A certain amount of buraucracy now followed. It turned out that one needed to sign in/out for the climb. In order to do so, one first should pay 10 Euros. Next, listen to a local "ranger" that would tell you (at length!) about the trail and about all possible dangers and troubles that might occur. 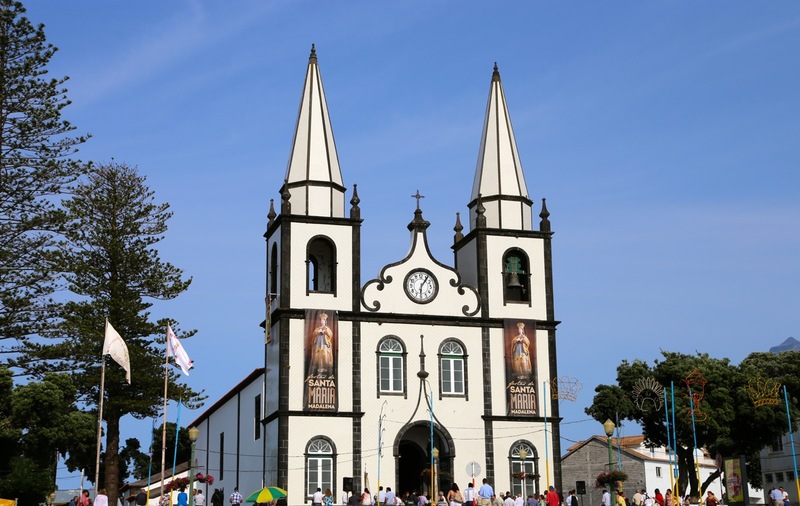 In particular, she warned against climbing the final Piquinho. Many accidents did occur there and it was steep and difficult. A rescue would cost me more than 1000 Euros. She specifically asked if I carried (at least) 2 liter of water. I nodded, knowing that my water bottle contained about 0.7 liter. Next, she asked me o confirm that I carried enough food. I again nodded, knowing that I carried none. Finally, I could sign in and also write the time of my return. The time was about 0915, so I wrote 1400 (almost 5 hours) for a return time. She was NOT amused, pointing out that it would take me about 5 hours to reach the summit. Enough? Oh no, next, all climbers should go downstairs and watch a movie. This movie was more or less a repeat of what had already been lectured. It seems excessive with all this, after all, in most of Europe there is no such excessive attention to safety etc. I was finally on my way at 0915 and quickly caught up with parties ahead. 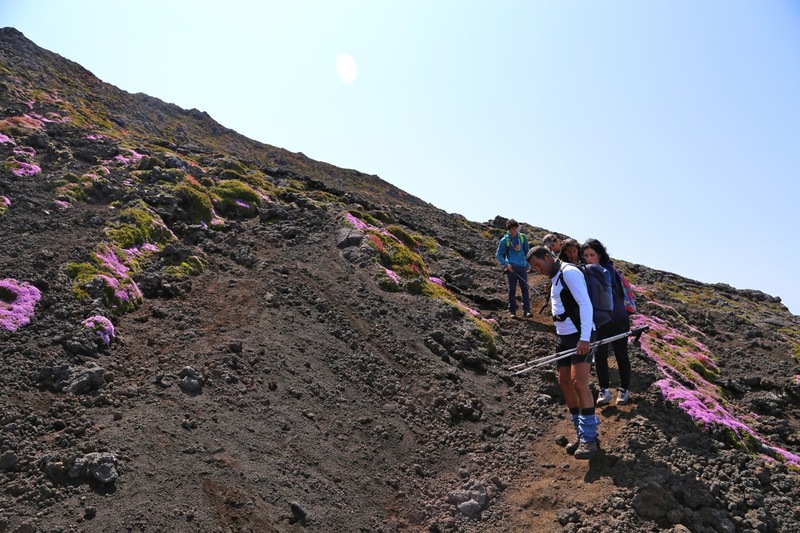 I arrived at the crater rim (pole 45) after 1:30. The sun was shiing and there were no clouds. A very nice day indeed. 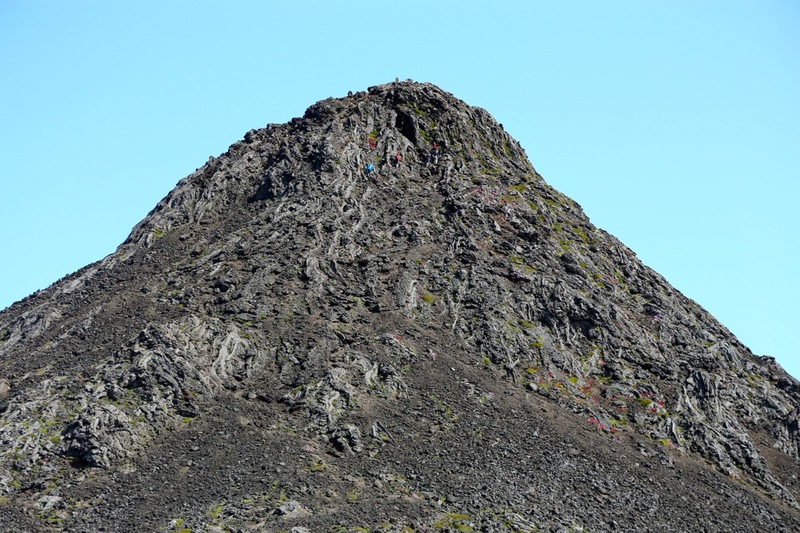 The upper part of the mountain had large areas covered by a nice red flower, in many places like a blanket. 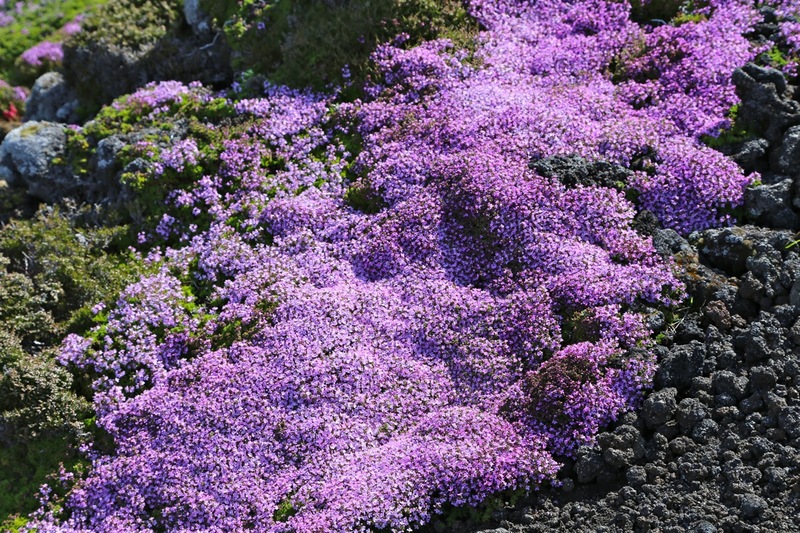 This flower reminded me about the Norwegian "røsslyng", as seen in many Norwegian mountains. It was fun gto see Piquinho, the final hill before the summit. I continued directly and finished my climb by going to the right of the normal route, since 4-5 people was blocking the path just as I arrived. The final few meter that I followed was YDS class 3, however, easily avoided by following up the very clear crack going left. Arriving at the summit in 1:45, seemed pretty ok, the view and weather was close to perfect. 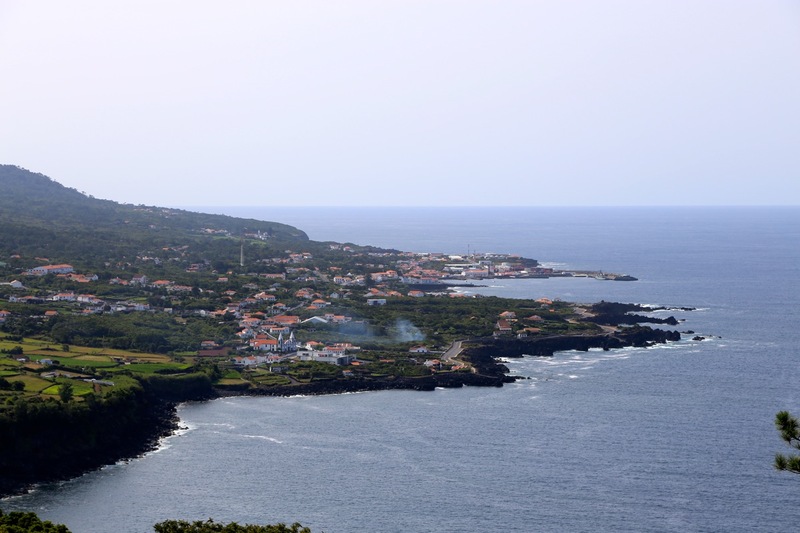 I could easily see our hotel back in Horta on the island of Failal. I spent 30 minutes before heading back down. I was back down by 1250, picking a gentle zig-zag route for my descent. 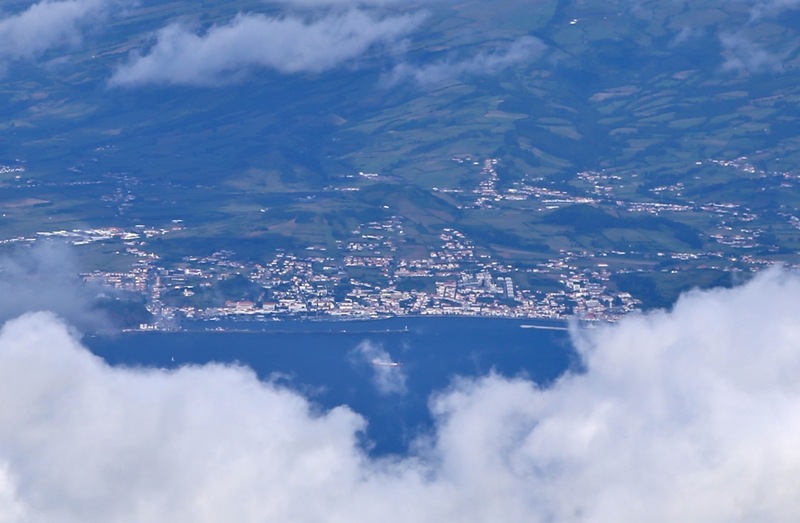 The ferry back to Horta on Faial did not leave before 2150, I first explored the rest of the island, including 2 more tops exceeding 1000 meter. 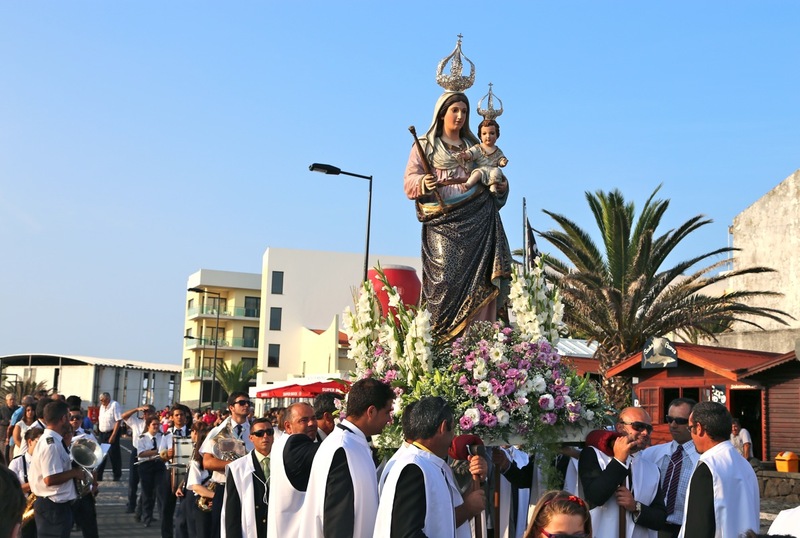 Later, I drove to Madalena and ran into some large religious festival. I did find a good place for dinner and still returned with time to spare for my late ferry. 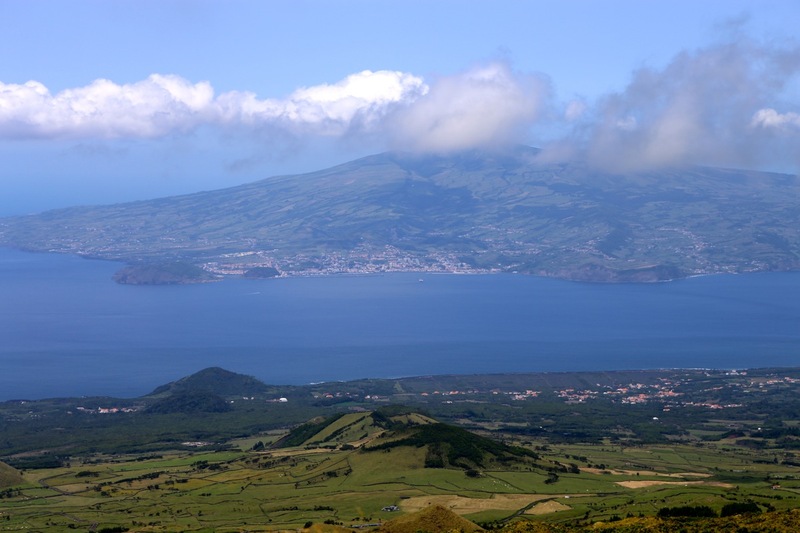 Faial and Horta as seen from the trailhead. Montanha do Pico as seen when driving to Madalena. Montanha do Pico as seen in the evening. 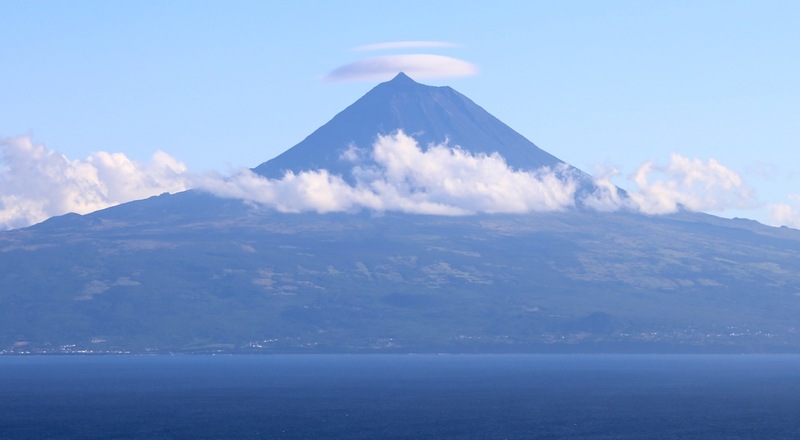 Montanha do Pico as seen from the ferry going from Sao Jorge to Pico.